Omate, the company behind the K3 smartwatch for kids, is now turning its attention to the other end of the age spectrum with the Wherecom S3 smartwatch. Much like the K3, the S3 is an Android powered, 3G packing smartwatch that works untethered from your smartphone. It also doubles as a GPS tracker. 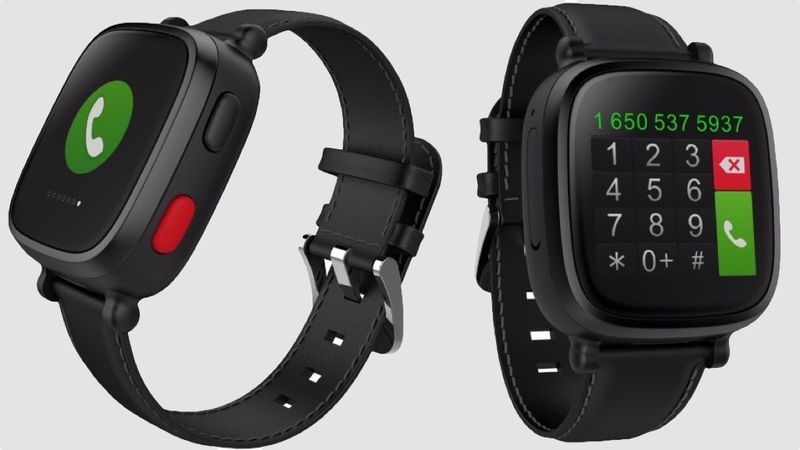 The concept is very similar to the kids smartwatch where Omate is partnering with Monitorlinq to offer advanced location and alert services so you can keep a closer eye on the senior and more vulnerable members of your family. Features on the skinned version of Android are kept to a minimum with a dialler, message hub and alarm reminder to alert users about taking medication included. There's also a built-in pedometer and a one-click SOS button, which will notify contacts over Wi-Fi or 3G about the GPS location of the user. Triangulating a location takes advantage of the onboard GPS, 3G and Wi-Fi hotspots to ensure it delivers the most accurate positioning. Elsewhere, the S3 has a 1.54-inch 320 x 320 colour display and is powered by a dual-core 1Ghz MediaTek CPU with an Mali-400 MP GPU. That's accompanied by 512 MB of RAM and 4 GB of storage. Battery life is slated as up to two days on a single charge. The Omate S3 is set to be priced at €149 and will be available unlocked in France and Spain from September. The Monitorlinq services will start rolling out before the end of the year.